Live To Ride Genuine Buffalo Leather Vest | BUDK.com - Knives & Swords At The Lowest Prices! You’ve just got to have a Live to Ride Leather Vest, especially, if you really are “living to ride”! A good quality and attractive vest is what you need when you’re out on the road on your machine. 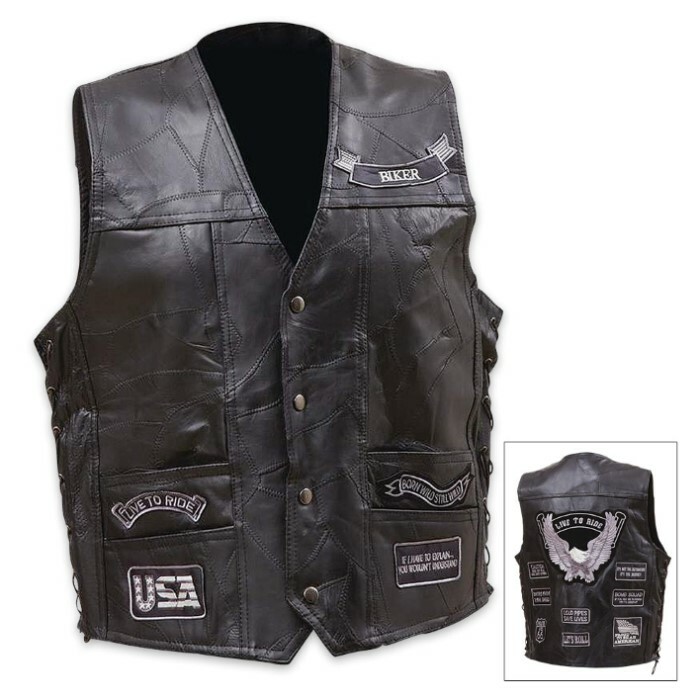 This is a genuine buffalo leather vest with gunmetal finished hardware. It has a polyester lining, four snap buttons and lace-up sides. Five gray-tone biker patches decorate the front and nine are on the back. 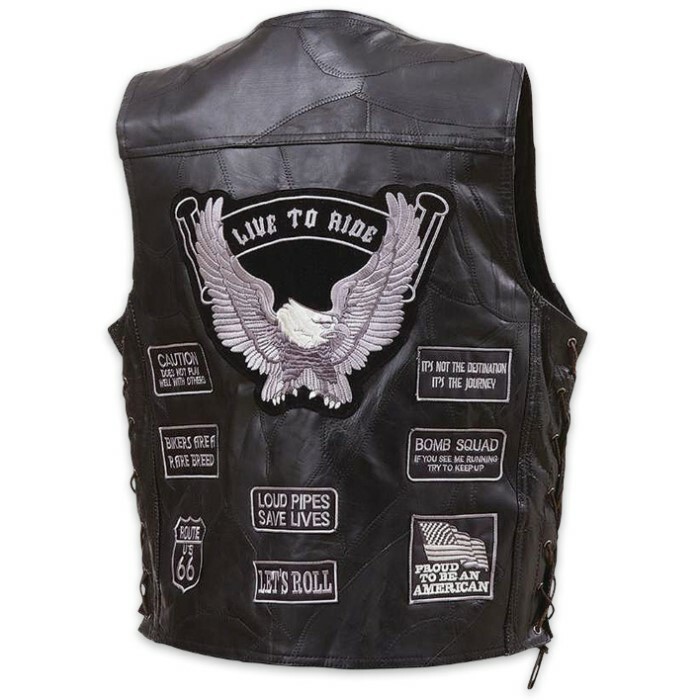 The main artwork is an eagle patch with the words “Live To Ride.” The vest also has four front pockets and comes in Large, XL and 2XL.